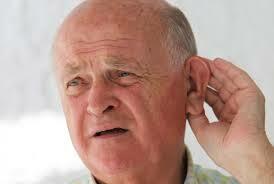 Many seniors experience hearing loss as they grow older, and simply accept it as a part of the aging process. However, occasionally hearing loss becomes a bigger concern – specifically when it interferes with daily life or puts the senior in danger. If a senior lives at home, a qualified caregiver can use ClearCare Online’s home care system and home care software to track symptoms, monitor the progression of hearing loss, and make other important notes. To identify hearing loss, it’s important to have regular visits with your loved one. If you or a family member are unable to check in as often as you’d like, it may be time to reach out to a home care agency that offers a reliable home care system and home care software so that you can get real-time updates on your relative’s daily care. - Is the TV so loud that you can hear it before entering the home? - Does your loved one hear you arrive and acknowledge your presence? - Do you have trouble reaching your loved one over the phone because they can't hear it ring or understand the person on the line? - Does your senior reply to questions with answers not relevant to what you asked? All of these indicators may be signs that your senior loved one is struggling with hearing loss. While worse hearing seems like it maybe a normal part of aging, a lack of ability to hear what's going on around them can cause seniors to withdraw from life around them,stop attending social events and refuse to use the telephone, all of which can lead to isolation and depression. like a secure portal log-in to the home care software or home care system and be aware of apparent changes in hearing condition, which can lead to proper care being sought for the condition. and from hearing related appointments. care system for the family to see. Hearing loss can be a difficult part of aging, but with the help of supportive caregivers and technology like ClearCare Online's home care software to facilitate communication amongst a care team, hearing loss can be well managed!